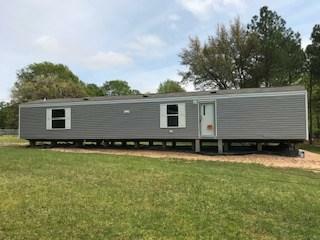 BRAND NEW 2018 SINGLEWIDE MOBILE HOME. 2 BEDROOMS, 2 BATHS, LARGE KITCHEN W/BREAKFAST BAR, STOVE, REFRIGERATOR AND DISHWASHER. 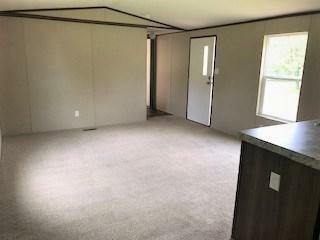 MASTER BEDROOM HAS WALK-IN CLOSET, SEPARATE UTILITY ROOM FOR WASHER/DRYER. OWNER FINANCE W/10% DOWN, 15 YEAR NOTE, 10.75% INTEREST. FRONT PORCH, BACK STEPS AND SKIRTING WILL BE INSTALLED. OWNER IS A LICENSED REALTOR IN THE STATE OF TEXAS. HOME WAS MOVED FROM HIDDEN HILLS HARBOR.. 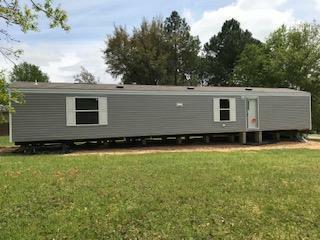 Listing provided courtesy of Trena Davis of Avery Realty Group.